RAYS MUAY THAI & FITNESS ACADEMY, a formidable force in Muay Thai in South Africa has finally joined forces with the biggest name in Martial Arts, Muay Thai giant FAIRTEX to promote Muay Thai in South Africa. The partnership creates unique opportunities for local and international fighters competing out of the RAYS banner to train with the top trainers at Fairtex in Thailand. 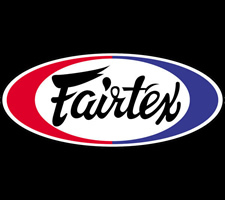 Fairtex is world renowned for producing a high calibre of fighters including the likes of Yodsaenklai Fairtex, one of the world’s greatest fighters, his achievements include WBC World Championship title holder, Lumpinee Champion and Contender Asia Champion; Naruepol Fairtex, regarded as a master technician, he is both Thailand and Lumpinee Champion; Keaw Fairtex, a sensational ring master known for his devastating elbow strikes and KO punches, he is the WMC Champion, Thailand and Lumpinee Champion; Kem Fairtex, a master of all weapons, he is the Radjadamnern Champion; to name but a few. 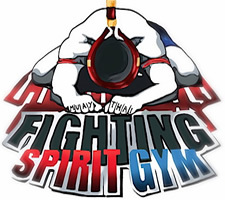 Fighting Spirit Gym and Pro Shop situated in the heart of Bangkok has become a training ground for RAYS pro and upcoming fighters who travel to Thailand. RAYS is now expanding into MMA, including BJJ and have just completed our first MMA training round at FSG Thailand. World renowned for their calibre of trainers, we look forward to building on a mutually beneficial professional relationship as we continue to groom fighters for the local and international fight circuit. Head trainer at RAYS MUAY THAI & FITNESS ACADEMY, Rayana Ameeroedien competed at Pattaya World Boxing stadium in Thailand on 20 March 2013. Her opponent, Nong Aung from Thailand, stepped into the ring with a record of 13 professional fights. The bout, which started off with sparks flying from the first bell resulted in Ameeroedien taking the lead with a strong combination of hooks which resulted in a standing eight count, and then came back with a straight right that sent the Thai to the canvass during the first 2 minutes of the first round. Ameeroedien who was participating in her first come-back fight after a 2 year break was delighted with the win but was hoping for a ‘slow’ fight with more rounds to get back into the swing of things, her strategy changed as a result of the rush of wild flurried attacks by her opponent and the win to well-timed accurate blows. Special thanks must be given to Fairtex and Fighting Spirit Gym for the wonderful support. 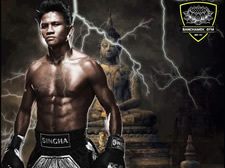 RAYS MUAY THAI & FITNESS ACADEMY has had a personal relationship with Buakaw dating back many years and he remains a huge inspiration to the Rays team in South Africa. With a record of over 400 fights and a list of impressive titles including 3x World K-1 Max Champion, he is arguably the most successful Muay thai fighter in the world! We have had the opportunity to join him at his new training facility in Thailand and wish him every success in his new venture as gym owner. 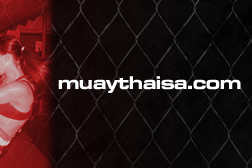 © Copyright 2007 Muay Thai SA. All Rights Reserved!